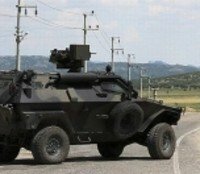 An assault has taken place in Diyarbakır’s Lice district with rocket launcher and long-barreled weapons on the minibus carrying temporary village guards, who were returning from the operation launched on the Kurdistan Workers’ Party (PKK). Clash erupted upon the guards’ returning fire. One village guard was killed and three others wounded.